I remember growing up and having a chart on the refrigerator that denoted the chores that my brother and I were responsible for. My Mom was a widow during this time, so it was like pulling teeth to get two young boys to be responsible and have any type of sustainable focus. She used different colored stars, and getting them was a giant reward !! We’d compete to see if we could EVER attain the elusive gold stars. The chart was a simple form of encouragement to get us to do work that we would never have willingly chosen to do. The tasks listed on the chart were necessary for the general upkeep of the house. We had no clue that we were actually providing some relief for my mother. We never understood that she worked a full-time job as a teacher before coming home to make sure the household ran as well. Being a parent myself, I adopted the chart for my kids as well. They did the same types of tasks for stickers instead of stars. I noted one difference though when my wife and I incorporated the chart system. We saw the resistance that I’m sure my brother and I gave when we were young. I was oblivious to the difficulty I’m sure I raised with my Mom when all she wanted was some assistance. The one thing about chores is that they never end. Ever. After you’ve picked up something once, other piles surprisingly appear and no one can remember how it happened. You did everything right in order to address the situation, but it never seems to remain clean, straightened or in order. Chores are not only at your house. They exist at work as well. However, we don’t use charts to encourage people. Instead, we bark our expectations and wonder why things don’t get completed. 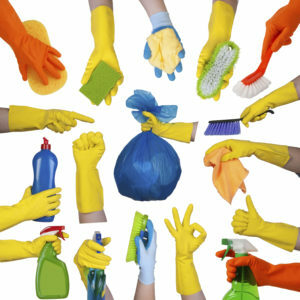 The items that are “chores” at work are important because they provide a baseline and some stability in what we do. I don’t know many people who are geeked about doing chores, but that doesn’t mean they should be ignored. Is there anything we can do to make these tasks seem less mundane? Yes, there is. Like most things in our roles, the key is our attitude toward the work as well as our approach. It may seem simple, but so were stars. If we have an understanding that these items aren’t unpleasant, that is a big shift in how we have been getting them accomplished. You can also do things such as schedule them to be done vs. letting them pile up. Also, take some time to evaluate if the chores you have are needed, or if they’ve just lingered on for decades for no apparent reason. We all have work that is just “busy” that may be sucking away our time. Use this mantra – If it doesn’t add value, stop doing it. We need to be aware of all our work, and not just the big ticket/project items. This week take a new look at your chores and take them on willingly. I may get a piece of fluorescent poster board, a sharpie, a ruler and some stars !! “We all have work that is just “busy” that may be sucking away our time. Use this mantra – If it doesn’t add value, stop doing it.” Amen to productivity !